Hi David, this is a very good example that could be used at T junctions everywhere, and I have proposed similar principles for the centre of Lewisham, for example. I also see that, ideally the cycle path should have been extended rather than using a cycle lane, but this proves that one can have greatly protected junctions and where infra could be prioritized if councils insist there is not enough money for cycle paths throughout. 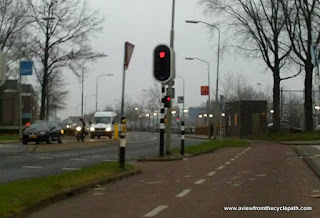 I understand that junctions tend to be the most dangerous areas and hence in greatest need of cycling infra. 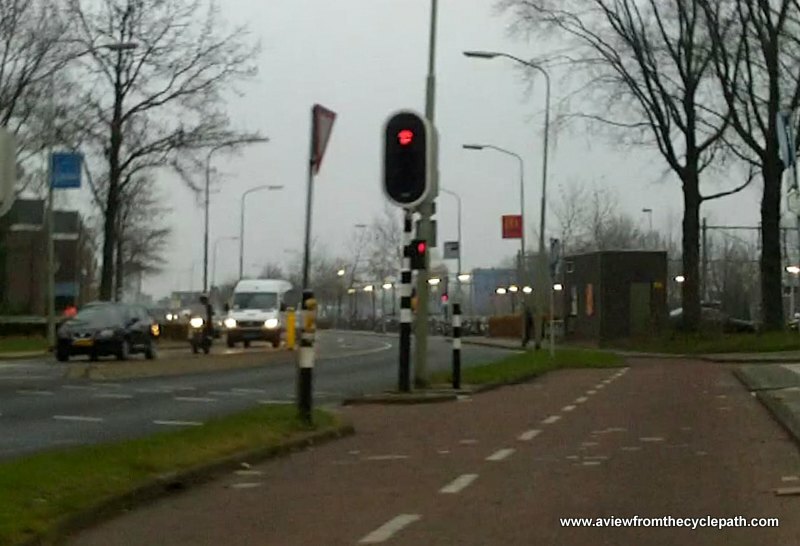 The only thing would be to then work out how to handle cycling movements; my instinct (from learning from you and other bloggers) says cyclists usually do not need their own traffic lights but one could use give way lines or give way to the right or left rules (e.g. at the Blackfriars Bridge underpass! ).